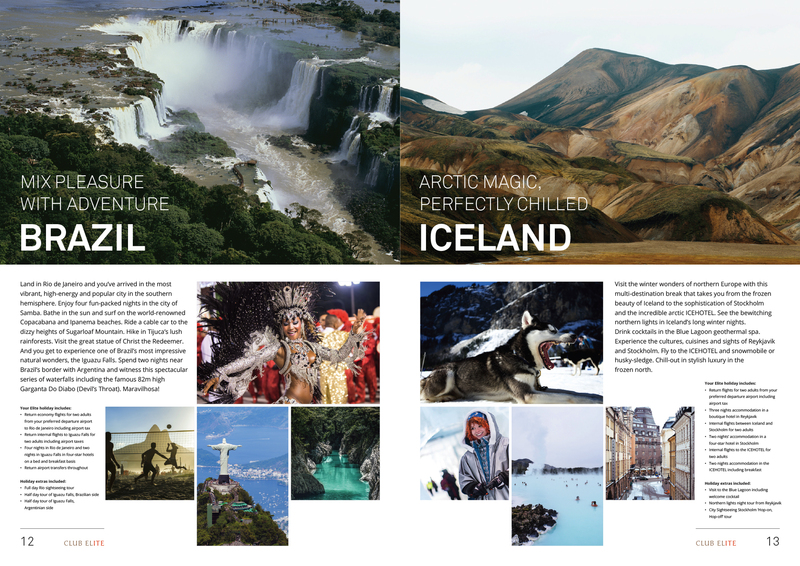 Event specialists ITE wanted to drive sales across its portfolio of exhibition and conference events in Russia, China and SE Asia. 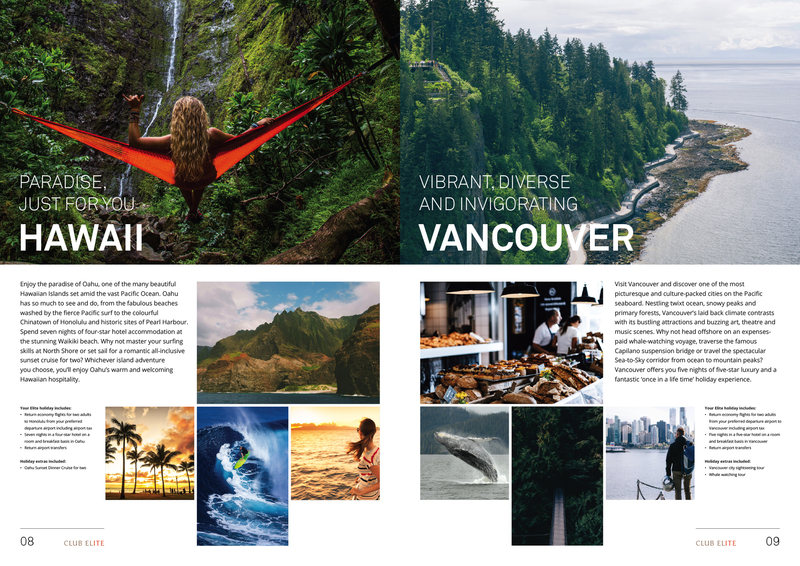 They chose Amberjack to conceive a new sales-incentive brand to align and motivate their global sales teams. 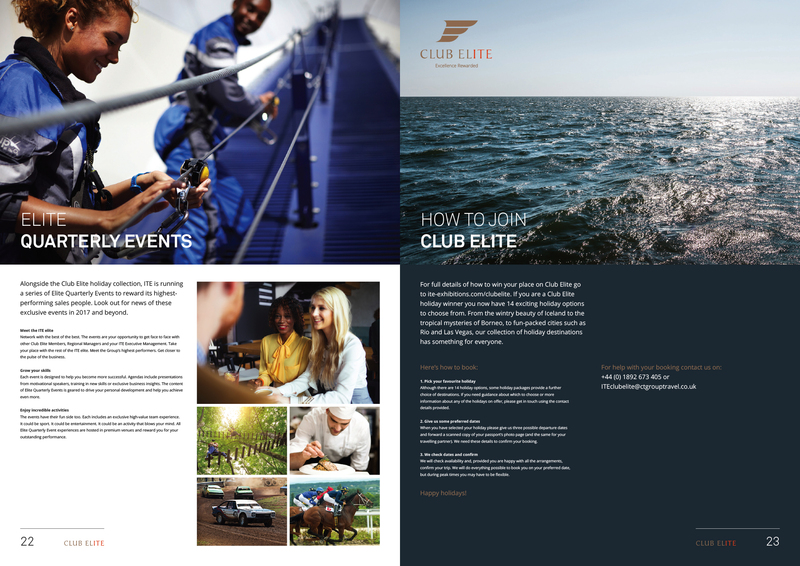 We developed Club Elite, a sophisticated rewards brand that recognises top sales performers with exceptional experiences and luxury holidays to the world’s most exclusive destinations. 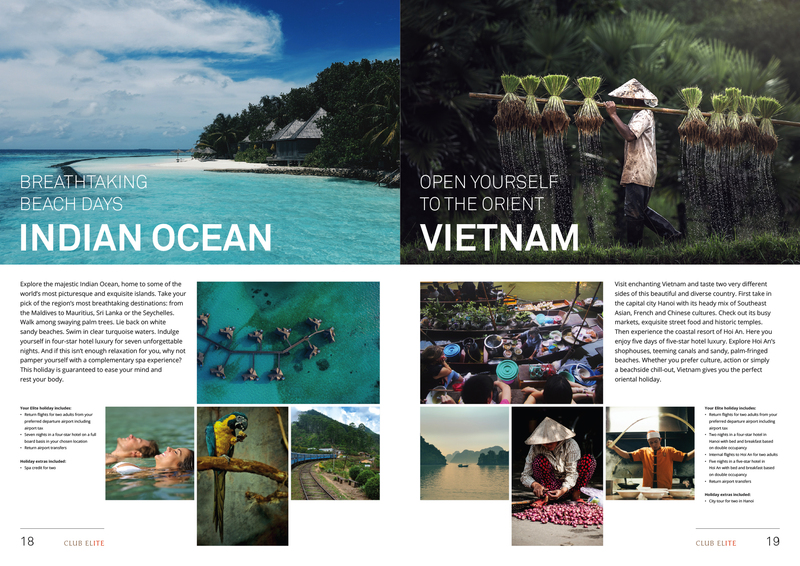 As well as designing a slick brand identity we created a glossy brochure in heroic A3 proportions and penned aspirational content for a microsite and other comms tools. 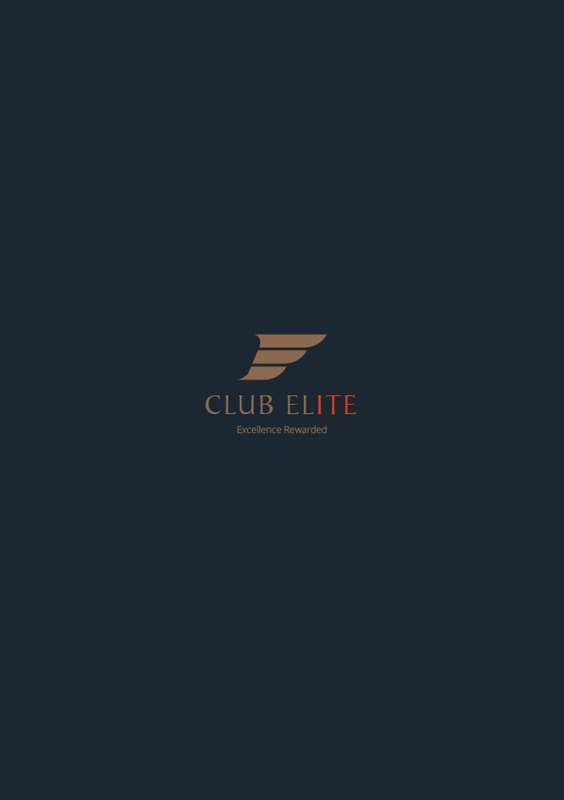 Club Elite has helped ITE to boost performance in sales teams across the world. Excellence rewarded. We created something special that everyone can aspire to.